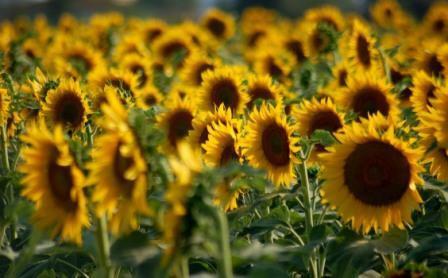 For many of us, we can never look at a field of sunflowers the same way again because of MH17. The memory is still recent, the pain too raw. The stark contrast between the bright hues of those lively blooms ­and the bleak pieces of the deadly tragedy wounds us with grief. Entire families were wiped out. Eighty children were lost, including babies and teenagers. There were fathers, mothers, grandparents, retirees, educators, professionals, corporate leaders. Among them could be someone whom you and I might have known, or who knew someone connected to us. But even if we didn’t personally know any of the victims, mere strangers and spectators with no commonality except our humanness would feel sorrow. Nevertheless, like the mythical phoenix rising out of the ashes of its predecessor in order to obtain new life, we see a fine example of the human spirit soaring above tragedy. Much can be learned from the Maslins’ powerful personal triumph over grief and hatred. Just as there is no hate that is strong enough to overcome love, there is no falsehood so strong as to defeat authenticity. Truth will prevail. Authenticity will emerge in the end. Can you or I, our corporation or our nation achieve the same? At the time of writing this article, the repatriation of the remains of the victims of MH17 is still ongoing. The entire process has been an authentic manifestation of solidarity among Malaysians. It was a rare occasion where gender, race or religion was not an issue. Neither was one’s age or status in society. All were Malaysians. All were truly equal in the eyes of the rest of us – no doubts, no debates and no discrimination. The authenticity of the human spirit can be revealed in the most challenging of circumstances. We have seen how amid a tragedy of national – and to a certain extent global – proportions like this, we were equalized as we stood together in solidarity. Leaders, can we not also do the same even when there is no death or tragedy involved? Must we wait till circumstances turn deeply tragic before we can lead with authenticity?